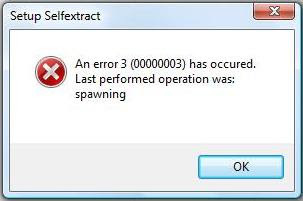 An error 3 (00000003) has occured. This error occurs when you try to install a new Avast installation in a computer that has a corrupted installation of Avast Antivirus. 1. Download Avast Uninstall Tool/Utility. Please note: If you installed Avast antivirus in a different folder than the default, browse for it. Be careful though because the content of any folder you choose will be deleted. 6. You can now reinstall avast antivirus. Your solution to use the avast uninstall tool worked. I didn't need to go into safe mode. I went to: SETTINGS > TROUBLESHOOTING > SELF-DEFENCE MODULE and removed the tick from the box. That let me use the uninstall tool. I think that Avast anti-virus is not the best decision to protect your device from the spy and spam programs. Better to find some individual solution. I recommend you to use one website to solve your problem with anti-virus protecting of your device. Here the link, I hope you'll like it. Oh man, I have had this problem for a very long time, and finally after reading your article I can solved it, and its all thanks to you! I am so thankful and wanna recommend you one very helpful service https://yepdownload.com/avast-home where I always get the latest versions of all application in the world.